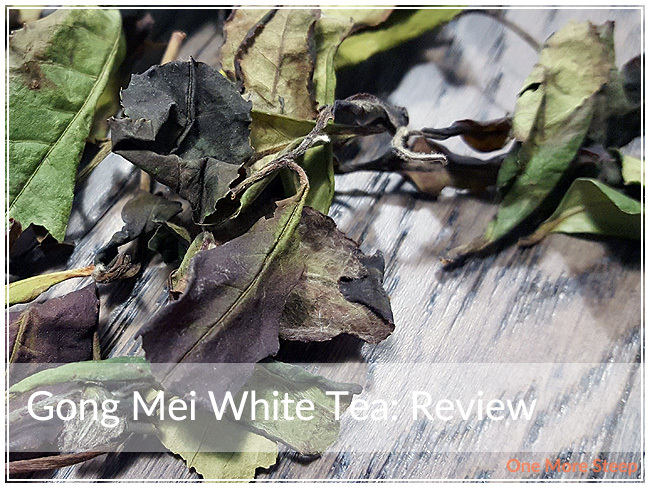 Living Leaf Tea has provided me with Gong Mei White Tea for the purposes of providing an honest review. I received this product at no charge to me and received no other compensation. Gong Mei White Tea is possibly one of the most minimally processed teas that I’ve ever had the pleasure of steeping. This tea came to me in a resealable white bag with a simple label. “100% Organic High Mountain Tea” is printed just under the Living Leaf Tea name and I just know it’s going to be good. This Gong Mei White Tea is a straight white tea from Yunnan, China. The dry leaf is beautiful. Unlike other teas that I’ve tried in the past, this one has these beautiful unrolled leaves. 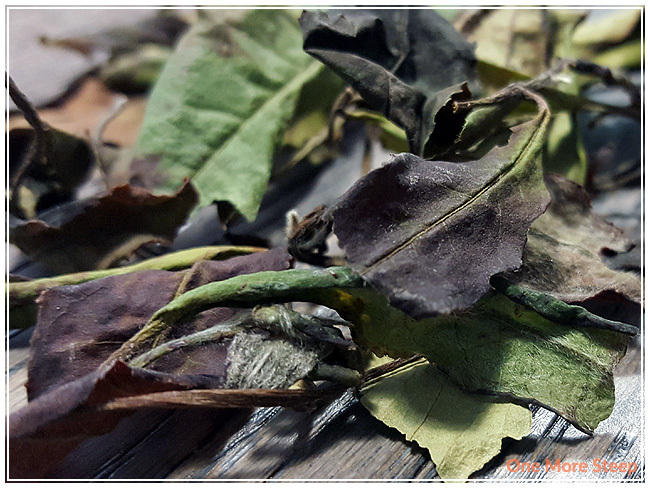 I can see fuzzy feathering on the leaves, and several pieces are two leaves and a bud – the ideal tea leaves. This tea is hand picked, and I believe it given the care with each piece. 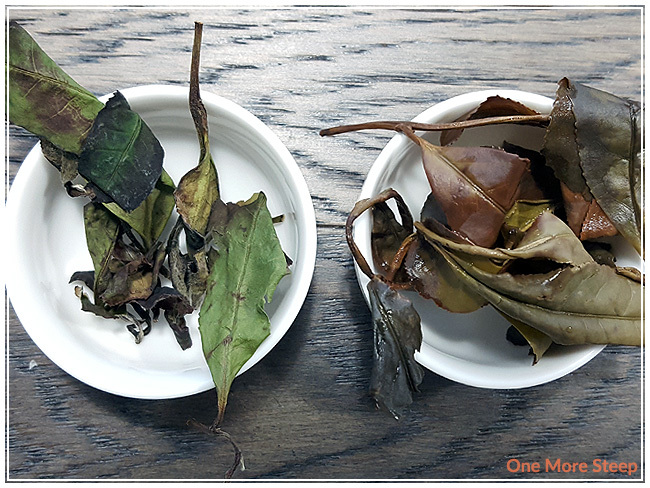 The dry leaf has a very mild fragrance to it – it has a natural sweetness to it that reminds me of apples. 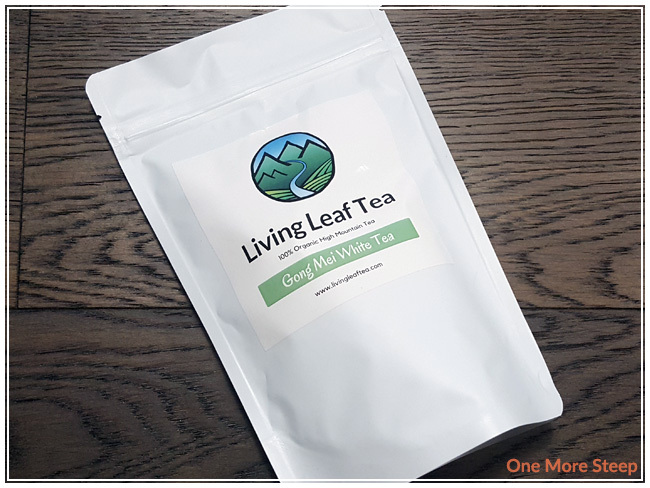 There were no steeping instruction in either the packaging or the product page on the Living Leaf Tea website, so I opted to follow the steeping guidelines for white teas from the Tea Association of Canada. I steeped this beautiful straight white tea in 80°C (185°F) for an initial steep of 2 minutes. 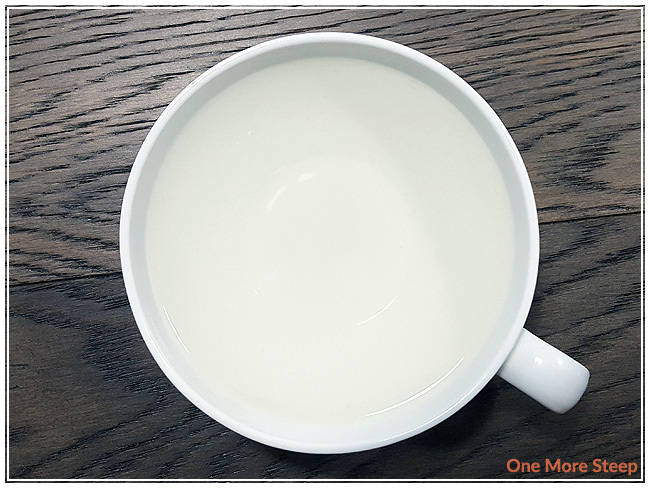 After a short two minute steep, Gong Mei White Tea looks like a barely tinted water. The colouring is so pale that I almost thought I forgot to actually steep leaves! Luckily, what it lacked in colour was greatly made up for in taste. This white tea has a light sweetness to it, and a fruity flavour. It reminds me greatly of apples still, which is lovely because I do like apples. The tea itself is very light and has a very clean taste to it. I found there was no bitterness, no astringency, just a sweet and light liquor. I resteeped Gong Mei White Tea fourteen times (so fifteen steeps total). The tea gets consistently darker and more golden until about the eighth steep, after that it starts getting paler. The tea has a lovely sweetness to the apple flavour that holds well until the fifteenth steep. The tea develops a thickened mouthfeel to it by the sixth steep, which paired well with the honey sweetness of the apple flavours in this straight white tea. Near the end, I was pouring excess tea from my teapot into a pitcher to put into the fridge for iced tea (spoiler alert: it makes an excellent iced tea). I loved Living Leaf Tea’s Gong Mei White Tea. It’s rare that I come across a tea that is such high quality and holds up so well to many resteeps, let alone a total of 15 steeps of the same leaves. This tea was a joy to have over a morning (and an afternoon). For the price of the tea, I do think that you get much more value than what you pay for. The flavour of Gong Mei White Tea is lovely, the colouring is beautiful. I really like teas that can be steeped and resteeped again, especially when the texture and flavours subtly change – and this tea really delivers on that. While I really enjoyed Gong Mei White Tea as a hot tea, it also did very well iced, so if you’re finding that you don’t want to (or are just unable to…) have more than a dozen steeps of this tea in a day, you can always steep some to save for later. Thanks so much for this review and I’m glad you liked the tea. You are so right about not having brewing instructions, I’m not sure why we didn’t include those yet. After reading that I realised I definitely need to put those in in future. If you have any more tea, it can be brewed hotter – up to 95 degrees or so, still holds up very well and doesn’t ‘overbrew’. This tea looks and sounds wonderful! Might have to check out Living Leaf Tea!